Flower Girl is growing up so quickly! 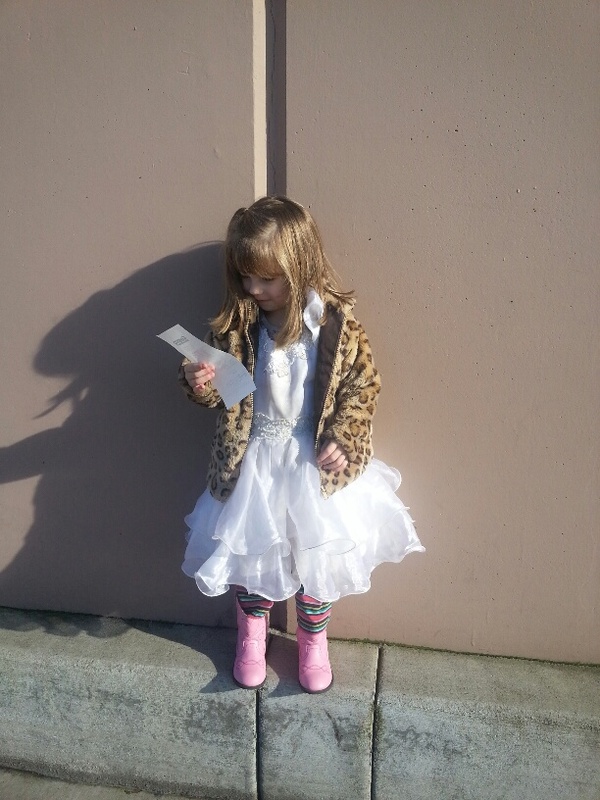 At three years old, she is very independent, always wanting to do things on her own and her way. But that might have something to do with the fact that she has quite a lot of responsibility for a three year old. 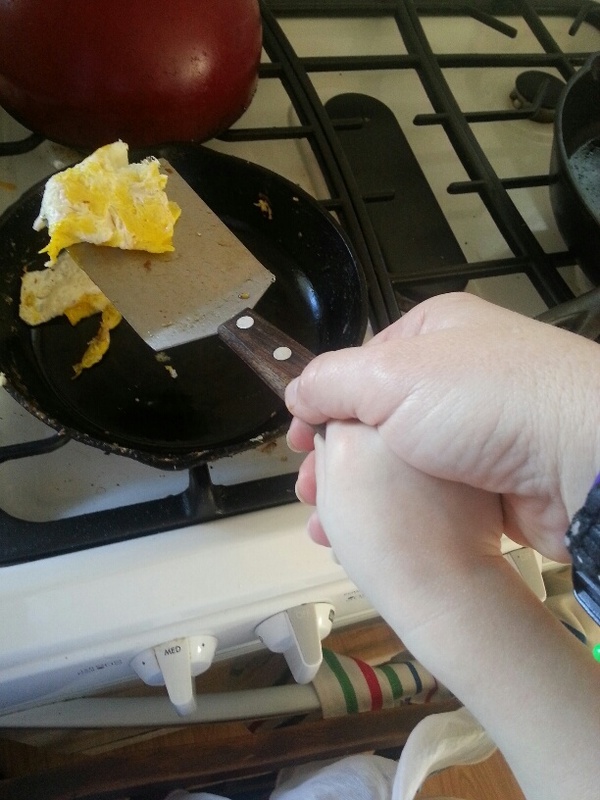 Such as carrying in the eggs. Or picking out her own outfit. Or helping fix her own lunch. 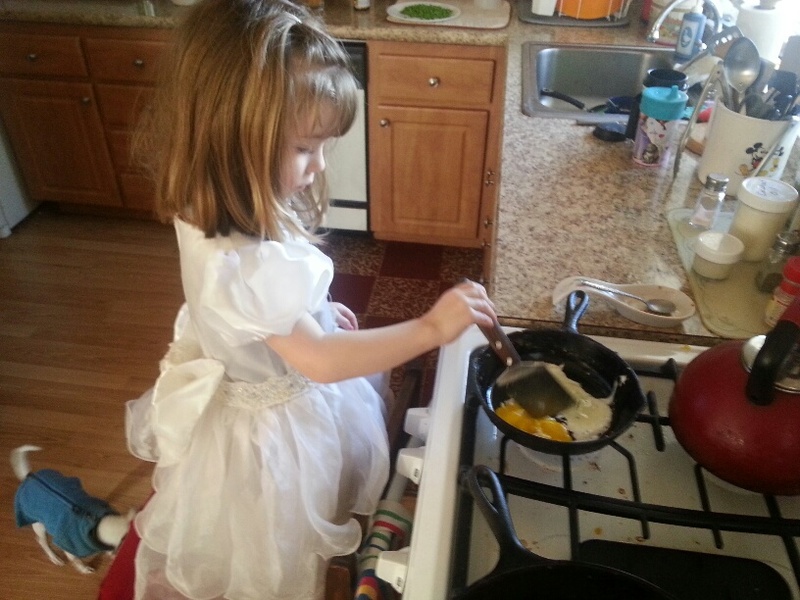 Yes, that’s right, I’m teaching my three year old how to use the stove (and please ignore how dirty the stove is!). But don’t worry, we are careful. Notice how my hand is shielding hers? So yeah, she’s growing up fast. And while I sometimes lament the passing of her baby years, I wouldn’t have it any other way. 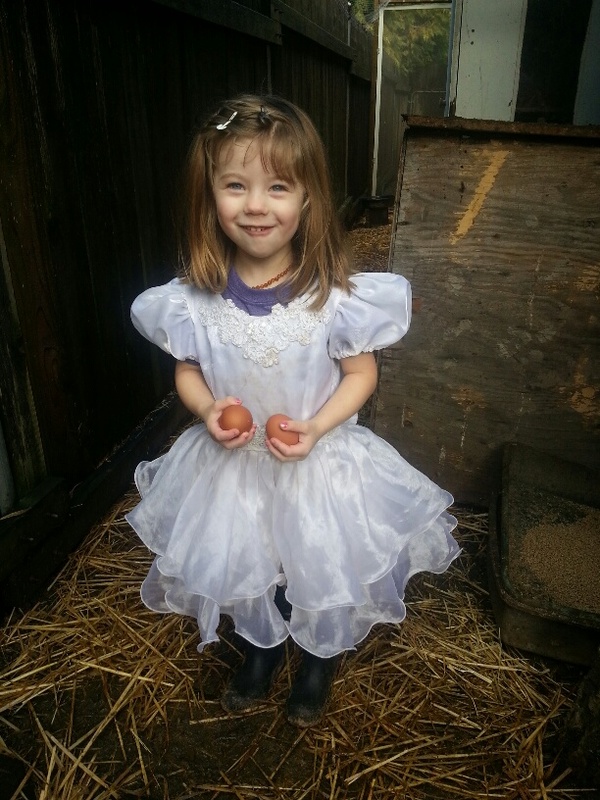 This entry was posted in Homemaking, Portland Interlude 2014-2016, Skills and tagged Eggs, Homestead Kids on January 25, 2016 by Maridy. i love love that dress!